We designed two novel thiolactone scaffolds. Both scaffolds can be accessed by a convergent Ugi multicomponent reaction (MCR) and are, thus, amenable to library synthesis. 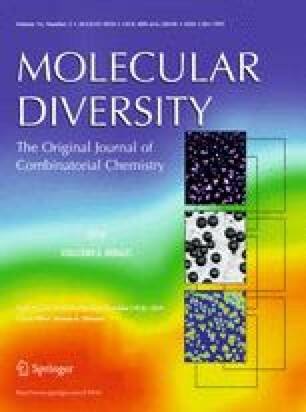 Design, stereoselectivity, structures, full experimental details, and virtual libraries will be reported. The online version of this article (doi: 10.1007/s11030-010-9249-2) contains supplementary material, which is available to authorized users. First two authors contributed equally.